Video game company Ubisoft revealed at E3 that Just Dance will be released for Nintendo’s upcoming NX console as well as other platforms according to the company’s official website, making it one of the first games to be confirmed for Nintendo’s yet to be revealed new console. 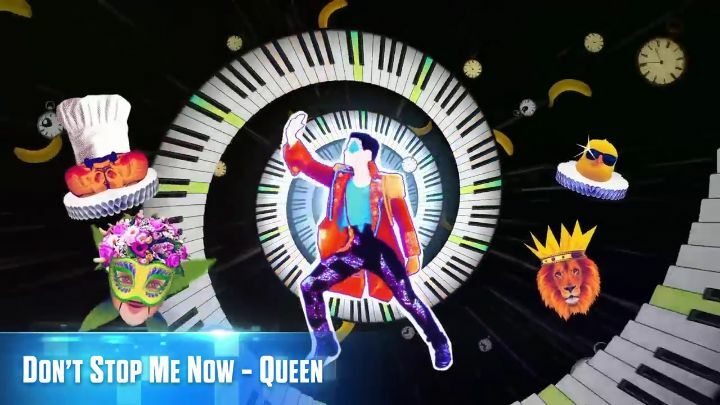 The previous Just Dance game was released in October last year and this new edition will also allow dancing fans to use their mobile phones to play the game instead of relying on a device like the Kinect. Apart from this, the game includes the original “Just Dance Machine” mode which allows players to perform more exotic dances like cancan in an effort to “help your alien captors return home”. The game’s track list includes hits like Queen’s “Don’t Stop Me Now” and Justin Bieber’s “Sorry”, plus the game will include a similar dance-on-demand service as its predecessor featuring more than 200 tracks for players to dance to. Just Dance 2017 is the second game that’s been officially announced for the Nintendo NX, after the great-looking The Legend of Zelda: Breath of the Wild stole the show at this year’s E3, although clearly Nintendo fans and gamers are eagerly awaiting more information from Nintendo regarding the NX, which is set to launch in March 2017 according to the Japanese company. The console’s absence at the E3 show in Los Angeles was something of a let-down (although Sony did not show off their new PlayStation 4 Neo model either), but at least the Japanese company had made the fact clear to fans beforehand. But here’s hoping that the new Zelda game and Just Dance 2017 are the first of many great titles Nintendo fans get to enjoy on the NX when the machine sees the light of day in spring next year. Note: Just Dance 2017 will be available in October 2017. Available on PS4, Xbox One, Wii U, Nintendo NX, Xbox 360, PS3, Wii and PC. Next: Should you get an Xbox One S, Scorpio or PS4 Neo? Should you get an Xbox One S, Scorpio or PS4 Neo? Watch Dogs 2 looks set to offer high-tech fun, but will it top the original game?